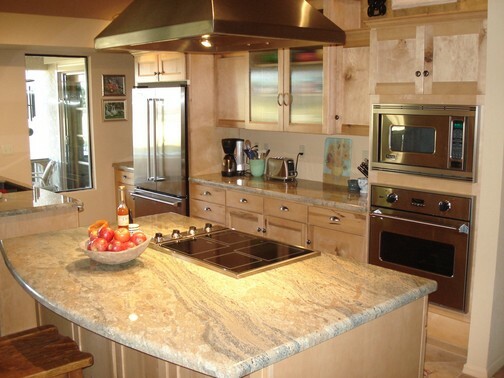 Granite is a naturally beautiful product with timeless aura and appeal. Its unique appearance is due to its variation of color and movement which results in a non-consistent look. Granite is an extremely durable and hard natural stone surface and, when sealed properly, is resistant to heat, scratches, stains and water absorption. Granite continues to meet the demands of discerning homeowners for countertops and will add elegance and value to the home for many years.